Do you have a calling to work with children and help them develop into healthy, successful adults? With a degree in child development from Indiana Tech, you will become immersed in the stages of development, from infancy through adolescence, and learn how society and nature can impact how individuals grow and develop. You will also receive a grounding in psychology courses that will provide an understanding of theory and practices related to working with children and adolescents. You will acquire interventions, methods and strategies to positively impact child development and learn how to be a successful advocate for children. You will also develop a solid foundation with which you can pursue graduate studies in a myriad of areas including child psychology, mental health counseling and teaching. Coursework will immerse you in child development theory and practice, while exposing you to the principles of psychology. In fact, you will be able to minor in psychology without taking any classes beyond those required by the curriculum. You will learn student engagement strategies that are designed to encourage critical thinking and the application of learned strategies to new situations. You will learn how to develop programming and interventions for working with children, adolescents and their families. You will complete a minimum of 5 credits in internships that will expose you to working with children and adolescents in a variety of settings. Dr. Boyce’s career has spanned work in the fields of counseling and psychology, as well as university teaching. Over the past 25 years, he has worked in university academic departments, private and federal medical and mental health hospitals, university counseling centers, forensic psychiatric hospitals and community mental health centers. He has expertise in forensic and health psychology, post-traumatic stress disorder, moderate and severe psychopathology, geriatrics and multicultural psychology. He has worked with children, including those who are victims of physical and sexual abuse, those with childhood-related PTSD or those who have aggressive behavior tendencies, including oppositional-defiant disorder and conduct disorder. 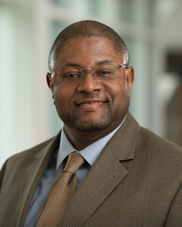 He has served as director of several mental health programs in in-patient, out-patient hospital and agency settings and as a training director of a doctoral program that specializes in counseling psychology at a Research One university.